Add leeks, stir and season lightly. Cover and cook over a gently heat for until the leeks are tender but not soft. You can do this in advance if you wish. Add cream just before you serve the dish. Preheat oven to 425 degrees. In an ovenproof casserole dish large enough to hold all 4 steaks, combine leeks, water, olive oil, butter and lemon zest. Cover with aluminum foil and bake 20 minutes, stirring once half way through. Remove from oven, push leeks aside, and add steaks to the dish. Spoon leeks evenly over the fish, season with salt, pepper, and lemon juice. Return to oven and bake, uncovered, until salmon is opaque, about 10 to12 minutes. 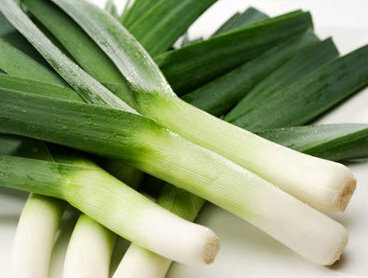 To serve, divide the leeks onto four plates and top with the salmon steak. Serves 4.